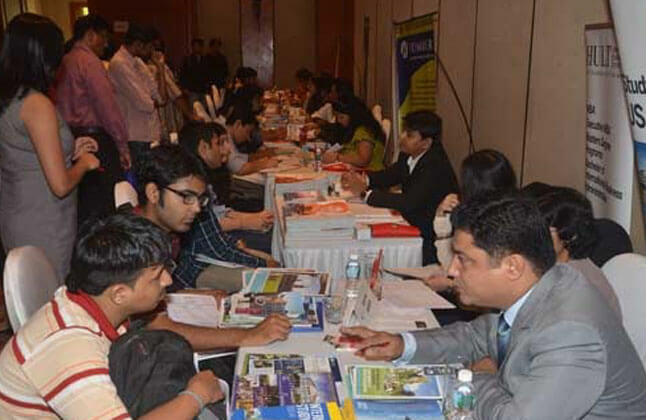 Edwise, India's Leading Overseas Education Consultants represents over 575 universities and colleges from across the world, is organizing its 27th World Education Fair. Over 100 institutions from the UK, US, Canada, Australia, New Zealand, Singapore, Ireland, Dubai and Mauritius are expected to participate in the fair. This event will provide in depth information relating to overseas education. Representatives from renowned universities will gather under one roof to interact with students. The prime idea of the event is to create an opportunity for students to meet one on one with delegates of well-known universities across the globe, get updates and gain admission to the educational destination of their choice. Scholarships will be given to meritorious applicants and application fee waivers of uptoRs 35,000 will be provided to eligible students. In the past, participants have secured scholarships ranging from 5-50% of the total tuition fees, amounting to over Rs 5 crore. Queries related to visas, loans, financial assistance and a comparative analysis of educational global systems will be answered by the delegates. Why You Must Attend the World Education Fair? Guidance on the universities admissions process. Obtain guidance on visa application and availability of educational loans. Get guidance on IELTS/PTE/TOEFL/GRE/GMAT/SAT Coaching. Attend US Consulate Seminar on Study & Visa. Venue - Hotel Sun & Sand, Bund Garden Road, Pune. Venue- JW Marriott, Juhu Tara Road, Mumbai. Venue- Hotel Sun& Sand, Bund Garden Road, Pune. What Edwise Students who attended the World Education Fair Says. ? "Visiting the World Education Fair has helped me a lot. It has given me a new perspective towards studying abroad. Meeting delegates from different universities has given me more options to consider from." "The World Education Fair conducted by Edwise was a very good opportunity for all those who wanted to pursue their education abroad. It was a one stop solution for all the queries and guidance you need. I am glad that I visited the fair and it was really very helpful"